Oh boy. If anyone makes this they MUST share pics with me. This is mostly posted for laughs. 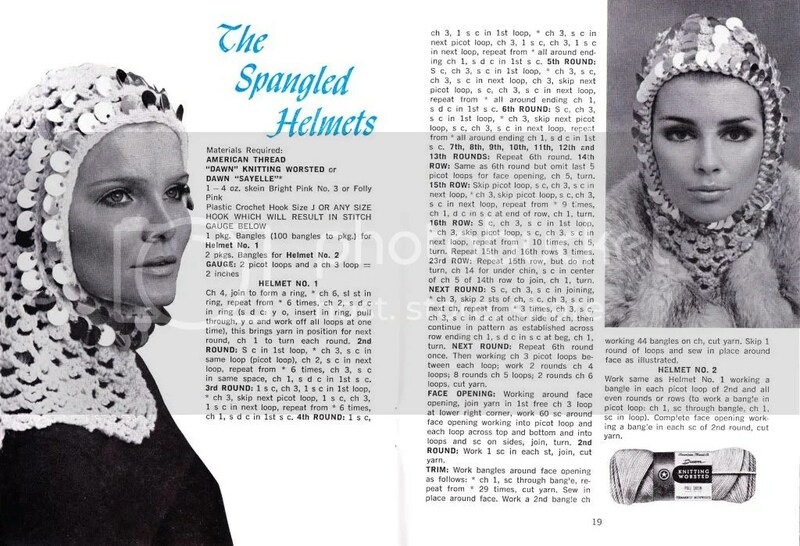 This entry was posted in crochet pattern and tagged 1960s, hat, helmet. Bookmark the permalink. If I can find the pallettes. I’ll make it and wear it! oops sorry i didn’t read it properly. It’s crocheted I thought it was knitted. If there’s a knit pattern .I’m in!!!! It will cheer up the winter.